Simple SQL statements are translated to Salesforce API calls and executed on the Salesforce side directly. 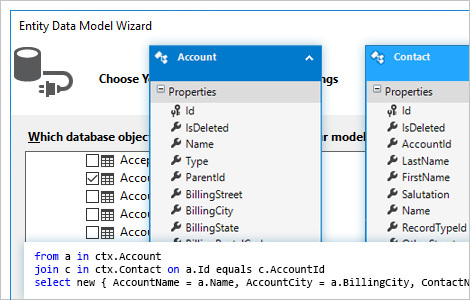 However, dotConnect for Salesforce also supports more advanced SQL features, such as SQL functions or expressions, complex WHERE conditions, joins, etc. 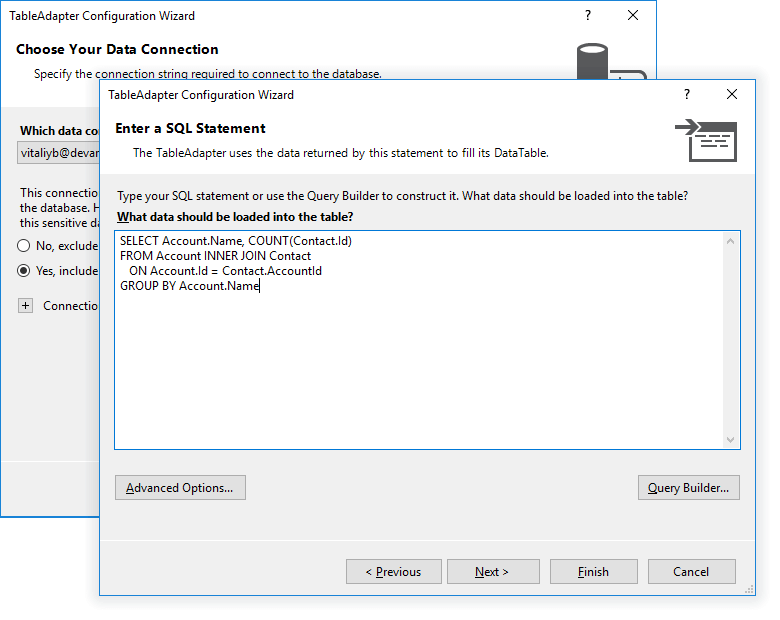 If you use these more advanced SQL features, dotConnect for Salesforce queries all the data from the objects that participate in the query, and executes the statement locally. This tutorial describes how to connect to Salesforce either at design-time, or from application code at run-time via SalesforceConnection. This tutorial describes how to get Salesforce data with the SalesforceDataAdapter class or with SalesforceCommand and SalesforceDataReader. 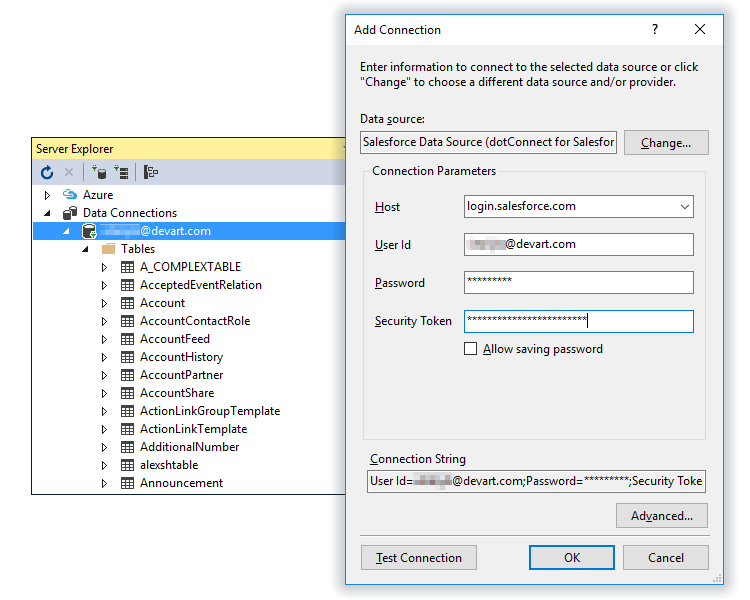 This tutorial describes how to manage Salesforce data with SQL and the SalesforceCommand class or with SalesforceDataAdapter. Send us a link to your MVP profile and get a free license for any Salesforce product! You can get a significant discount, and even a free license, by spreading a word about dotConnect for Salesforce.